This past year’s debate over the future of health insurance in America has undoubtedly sent shockwaves throughout the country. The Affordable Care Act (ACA) has held insurance companies to patient protective standards, and its mandated coverage has had a huge impact on how markets operate. The phasing out of such ACA regulations would leave providers, and therefore their patients, in the lurch. Nationwide university health insurance options are certainly not immune to this threat. Over one million students are covered by university-sponsored plans, a statistic that has undoubtedly grown since the Supreme Court upheld the ACA’s coverage mandate back in 2012. With different consortiums relying on varying vendors and various universities offering their own independent plans, pinning down how Wesleyan’s plan stacks up against the rest can seem a daunting task. According to Davison Health Center Director Joyce Walter, M.S., C.H.E.S., Wesleyan’s plan holds it own with respect to access and quality of care. “It would be comparable to really any plan you could get in the marketplace,” Walter says of the 2017-18 plan. Wesleyan insurance has consistently covered around 800 students since it joined Connecticut Conference of Independent Colleges (CCIC). The 15-school consortium groups enrolled students under a single multi-school plan. Walter explained how the larger patient group allows rates to stay low. Also since joining the CCIC, Wesleyan has consistently ranked gold metallic in the ACA Health insurance rankings. This ranking system scales how much a given plan will cover the benefits it offers, and so a gold ranking indicates a plan that covers 80 percent of all medical costs. Walter has been working in Davison since July of 2002 and says Wesleyan’s plan has changed a lot since then. When Walter started, insurance didn’t include coverage of prescriptions, and only covered $50,000 for catastrophic injury care. Between 300 and 400 students were enrolled on a yearly basis. The ACA seemed to change Wesleyan insurance for the better, beefing up its preventive services and lowering out-of-pocket costs. “Essential benefits include ambulatory patient services, emergency services, hospitalization, prescription drugs, maternity and newborn care, mental health and substance abuse disorder services, diagnostic tests, and wellness and preventive care,” wrote Olivia Alperstein ’14, a former News Editor for The Argus during the semester after Wesleyan’s plan became ACA compliant. One of the tenets of the current plan is the auto-enrollment of those who do not or cannot provide proof of comparable insurance. While this policy ensures on-campus coverage for all, Walter explained that the hard waiver is not without its flaws, recognizing its cost puts a burden on students already struggling with the costs of tuition. When students auto-enroll, they are left without an insurance provider for the entire month of September. Walter discussed messaging strategies as major issue toward increasing active enrollment. Consequently, she’s begun to deemphasize auto-enrollment as an option. “Waiving and enrolling online at www.gallagherstudent.com/wesleyan is required for compliance,” reads an email sent out on Aug. 8 to all students on campus. This new tactic seems to have worked. 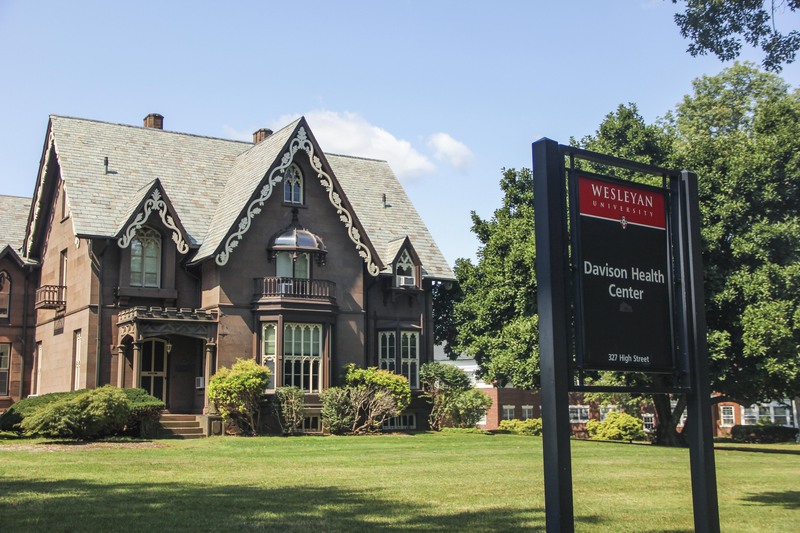 Wesleyan also switched its insurance carrier from Aetna Student Health to National Guardian Life Insurance Company. The 2017-18 CCIC plan costs $1,963, which is down about $100 from last year’s, yet the benefits offered are identical to those from before. As the debate over health insurance costs and ideology continues to wage, Walter turned to the future, discussing where she hoped the plan to go.